First Friday brings together an eclectic mix of local business professionals in a relaxing environment allowing you to mingle with like-minded people over a pint or two. And, as it’s held at a bowling alley, there’ll be a opportunity to test out your bowling skills too! This installment of First Friday is also the closing party for Caketober – we’ll be announcing the winners for the competitions, so make sure you’ve entered here! 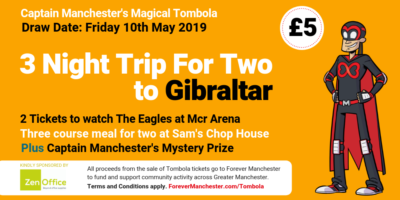 Members of the Forever Manchester team will be on hand to make introductions and share upcoming activities for you to get involved in to raise money to support community activity across Greater Manchester.